If you're after an older, relaxed, quiet and all round sweet natured kitty then stop where you are, you've found a friend in me! My names Rachel and I'm a very sweet but quiet girl who loves to snooze most of the day away. I found myself alone and sad in the shelter after my owner passed away and I'm desperately searching for that new someone to curl up with every night. 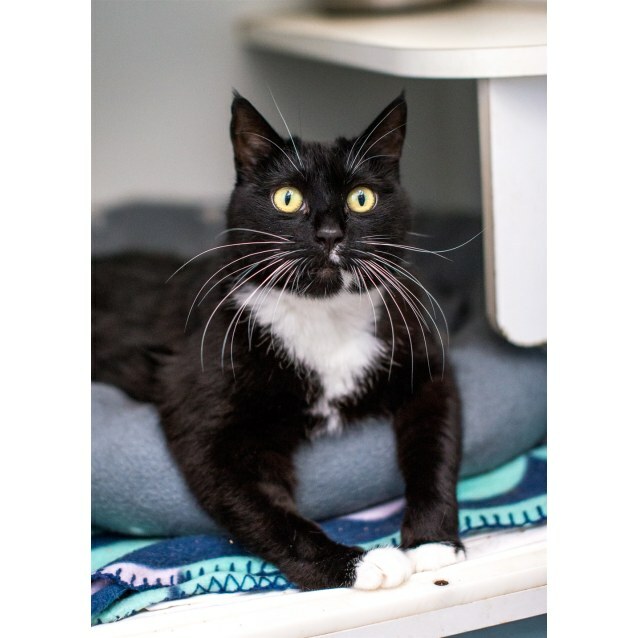 I'm a pretty easy going cat, I've lived with other cats before and would quite happily mesh well with others given that I am introduced slowly and appropriately. I'm mostly just looking for a quiet home with a caring and compassionate owner who will allow me to do my own thing, sleep my days away but always be willing to share a cuddle, could that person be you? Come and visit me at the Kellyville Pets and you'll see for yourself how incredible I am!! You can contact them on 9629 3282 for more information about me!